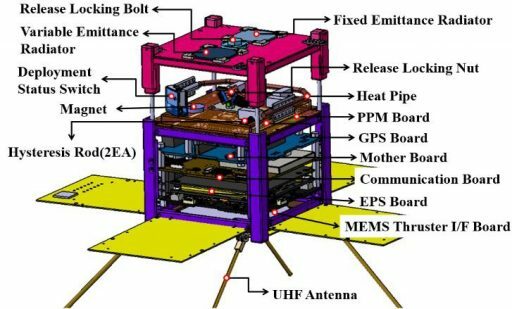 STEP Cube Lab (Space Technology Experimental Project CubeSat Laboratory) is a South Korean CubeSat mission developed at Chosun University as a fundamental technology demonstration of space technologies designed at domestic universities for risk retirement before operational use. Technologies to be verified by the STEP mission are a variable emittance radiator, an oscillating heat pipe, a MEMS based solid propellant thruster, a concentrating photovoltaic power system, and a non-explosive restraint and release mechanism triggered by niochrome burn wire – the latter being one of the primary payloads to be verified by the mission. The MEMS (Micro-Electromechanical) Solid Propellant Thruster consist of a micro-nozzle, an electric micro-igniter, a glass membrane and a propellant chamber containing the solid propellant. Given the propellant’s properties, it only combusts when the igniter fires and therefore allows for a great deal of controllability of individual impulse bits. It can deliver a maximum thrust of 3619 Millinewtons and an impulse bit of 0.381 mNs. 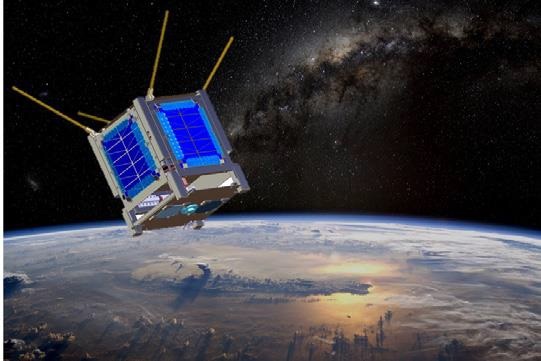 The major advantage over other electric propulsion systems is the much lower power consumption of only 0.3 Watts, making this design ideally suited for a CubeSat mission. 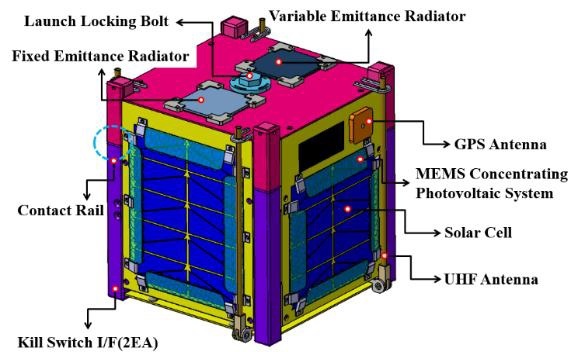 Variable emittance radiators are a new development in spacecraft thermal control and also ideally suited for small satellite missions since they are of low-mass, volume and do not require any moving parts like conventional thermal radiators/louvres. The radiator tested on STEP makes use of the metal-insulator transition of (La,Sr)MnO3 thin films which have a low thermal emittance at low temperatures (reducing the heat expelled from the satellite and warming it up) and high emmittance at higher temperature (providing a self-regulating thermal control element without complex moving parts). Additionally, as a passive element, the radiator does not require additional heater power in case of very low temperatures since it does not contain fluids or electronics. Oscillating Heat Pipes are an emerging technology for satellite thermal control on small and large scales. Conventional heat pipes, when tested in a gravity environment before launch, are subject to degradation which can reduce their in-flight performance. The new design employs self-sustaining oscillatory flow of the working fluid as opposed to surface tension and capillary action that drives conventional heat pipes, allowing degradation effects of gravity to be minimized. A concentrating photovoltaic (CPV) power system generates power by concentrating incident sunlight with a lens system and harvesting power with a small generating device as opposed to large-surface solar cells. 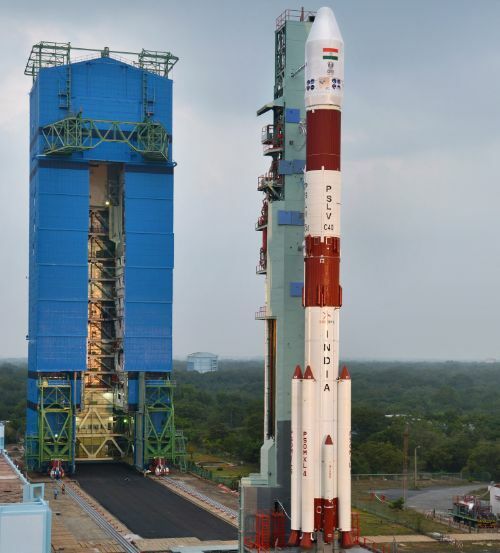 Although a commonly used element for various applications on the ground, CPV has not yet been explored in space, even though sufficient power generation is expected. 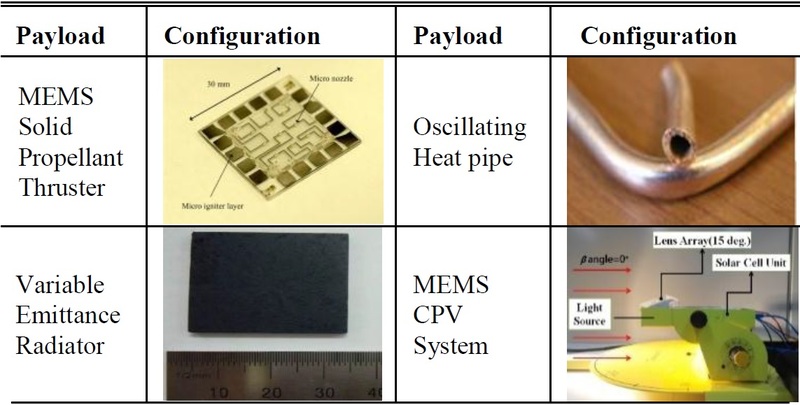 STEP tests a MEMS-based lens array to increase power generation when the solar beta-angle between the solar vector and the solar panel is zero by effectively concentrating light onto solar panels. 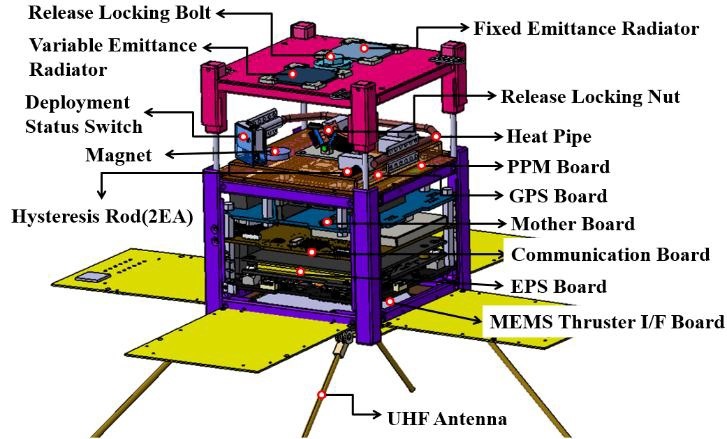 Deployable elements are important design considerations for CubeSats since many scientific or operational applications require deployable appendages like antennas, solar panels and sensor booms which are difficult to realize given the volume restrictions of the CubeSat form factor and complexity driving up mission costs. It is therefore desired to develop a reliable holding and release mechanism that is of low-cost, small size and capable of supporting multiple deploying structures to save mass and reduce complexity. The system tested on STEP is based on a nylon-cutting method that offers a high load capacity for restraining elements and is capable of synchronous release of multiple elements. It comprises a constraint bolt, two segmented nuts, a pin, nylon cable and two springs which are both compressed in the separation nut and constrained by the nylon cable wound around the nut. The nut is released by cutting the nylon cable using a niochrome burn wire, allowing the springs to release the constraint bolt and free up the spring-loaded elements to deploy.